Abstract: Since the invention of semiconductor lasers in 1962, significant progress has been made in terms of high performance in many applications including telecommunications and optical storage. Most modern semiconductor lasers operate based on quantum mechanical effects. Quantum-well lasers have been used with impressive performance, while novel quantum-dot lasers, a subject of intense research, show a great promise. In this talk, I will describe the physics of strained quantum-well and quantum-dot lasers, and demonstrate how theory can explain experimental observations such as polarization (TE and TM) dependent optical gain spectra and their dependence on the type of strain. The concept of quasi-Fermi level separation and its experimental determination will be discussed. I will then present our most recent theoretical and experimental results on a new tunneling injection quantum-dot coupled quantum-well laser, which has potential advantages such as low threshold, high temperature stability, low-chirp, and high-speed performance. Novel devices using quantum wells and quantum dots to slow light with applications to optical buffers will be presented. Biography: Shun-Lien Chuang received the Ph.D. degree from MIT in 1983. He then joined the University of Illinois at Urbana-Champaign, where he is currently a Professor and Director of the Illinois Program on Photonics and Optoelectronics. He was a visitor at a few institutions including Bell Laboratories (1989); University of Tokyo (1996), NTT (1997), NASA Ames Research Center (1999), Fujitsu (2000), and Cavendish Laboratory at Cambridge University (2002). He is conducting research on optoelectronic devices including strained semiconductor lasers, modulators, and infrared detectors. He is the author of Physics of Optoelectronic Devices, Wiley, 1995. 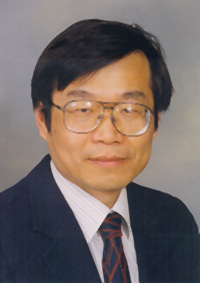 He was an Associate Editor of the IEEE Journal of Quantum Electronics (1997 - 2003). He is a Fellow of the APS, IEEE and OSA. He received the Engineering Excellence Award from OSA in 2004 and is an IEEE LEOS Distinguished Lecturer in 2004-2006.